There are few sneakers as iconic as Adidas, and fewer drum machines as important as the Roland TR-808 Rhythm Composer. As such, some wise person thought it'd be a good idea to mash both products together as a piece of wearable tech. The Neely & Daughters branding agency has come up with a prototype for some of the most retro-futurist sneakers we've ever seen. 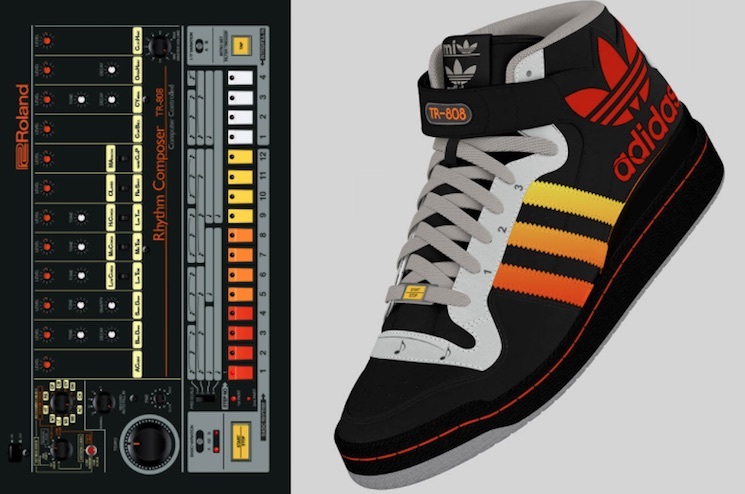 Unfortunately, the Mi Adidas TR-808 shoes never made it past the prototype stage. So you'll just have to gawk at the drool-worthy images below and imagine what could have been.